Be calm. Be fair. Be accurate. This is how you do this. That’s the advice that journalist Emily Steel said she received from The New York Times Executive Editor Dean Baquet before a tough interview with a source while she was reporting on sexual harassment and misconduct allegations against a well-known television commentator. It’s also advice that exemplifies Dean’s own approach to journalism in the last four decades of his career, for which the Reporters Committee for Freedom of the Press will honor him this month with a Freedom of the Press Award. The Freedom of the Press Awards recognize leaders in journalism and media law who have dedicated their lives to practicing and protecting the rights embodied in the First Amendment — which is exactly what Dean has done since he got his start as a journalist for The Times-Picayune in the late 1970s. From there, Dean would go on to produce and oversee reporting, much of it investigative, at The Chicago Tribune, The New York Times, and the Los Angeles Times, shining a light on issues facing the communities he covered and holding those in power accountable. At The Chicago Tribune, Dean reported on corruption in politics and the garbage-hauling industry and won a Pulitzer Prize for leading a team of journalists in uncovering corruption in the Chicago City Council. 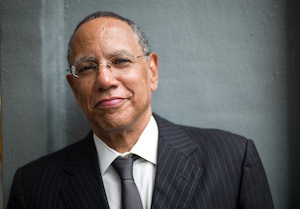 Dean brought these experiences with him when he returned to The New York Times in 2007, where he has remained since, becoming the publication’s first African American executive editor. Under Dean’s leadership, one of the nation’s largest newsrooms has produced award-winning reporting in just the last year on, among other issues, Russian efforts to influence the 2016 presidential election and sexual harassment and misconduct allegations against Roger Ailes, Bill O’Reilly, Harvey Weinstein, and other public figures. “His demands are high, and his standards are exacting, but it was through that process that we were really able to deliver a solid, fair, and accurate story,” Steel said of Dean’s role in The Times’ reporting on workplace sexual harassment issues, which played a role in sparking the national #MeToo movement. Dean has also guided The Times through a range of new challenges facing news media, such as heightened verbal attacks on the press — including pointed attacks on The Times from the president — and changes in how news is delivered and consumed. While the Reporters Committee will honor Dean’s accomplishments thus far in his career in May, his colleagues are certain he will continue to serve as an example of the powerful impact one journalists can have by reporting fearlessly and relentlessly, and encouraging others to do the same. “I think it’s way too soon to talk about his lasting legacy. I think there’s more to come from Dean Baquet,” said Sulzberger. In addition to Dean, the Reporters Committee will honor Florentine Films documentary filmmaker Lynn Novick, former Senior Host of “All Things Considered” Robert Siegel, and BuzzFeed Vice President of Legal and Associate General Counsel Nabiha Syed on May 22, 2018, at the Freedom of the Press Awards.